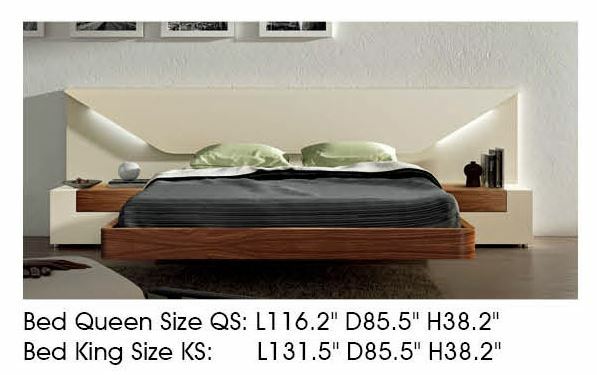 Item Size W 116" x D 86" x H 38"
The bed is crafted from durable wood materials and veneers, and rendered in a two tone finish - glossy black and warm walnut. Optional storage platform. 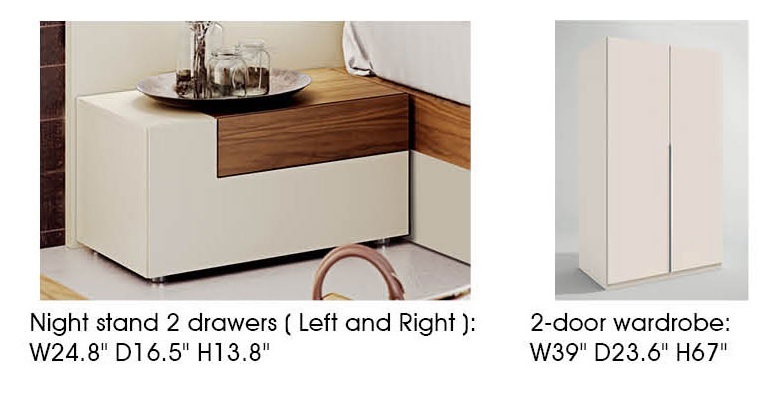 Note: Night Table, dresser, mirror, chest, wardrobe cannot be purchased separately. It can be ordered along with the bed.